So I say to you, “Stop obsessing over your search engine rankings!” Leave that to your SEO. If your SEO is good at his job, he has your website’s best interest at heart and should be focusing on various metrics. 1) Conversions. This is an easy one, isn’t it? Well, it should be. More conversions equate to more sales which equate to—you guessed it—more money. Website owners shouldn’t question why their site isn’t ranking—most often for a pretty obscure search phrases (which usually means no search volume)—despite the fact their organic search traffic has more than doubled and their conversions have increased several hundred percent during the life of the SEO campaign. Moral of the story: if you’re investing in SEO, don’t just ask for ranking reports; follow up with conversions for the month and traffic reports. This brings me to my next point. 2) Qualified Traffic. If an SEO ever guarantees rankings for your website, turn around and run away… fast. We’ve briefly mentioned how rankings can vary if you’re logged into your Google account (personalization, browser history, social influences, etc.) or based on where you are located while performing a search (localized search). There are just too many factors among the more than 200 Google claims that go into every search query for anyone to guarantee top rankings in search engines. When I approach SEO, my focus is always nonbranded qualified traffic, because if you want to increase conversions, you need to target users who have never heard of your company name and are looking for your service to solve their problem. 3) Site Usability. So you’re probably saying to yourself, does this guy really think usability is more important than rankings? That’s not what I’m saying. However, usability is a major factor in the whole SEO game that can influence rankings and sales. I’ve had clients tell me their site ranks for targeted keywords and gets a steady stream of traffic, but users can’t find anything. This is typically due to poor navigation, no internal linking strategy and no calls-to-action, among other things. Needless to say, if you’re website isn’t effectively leading users through the path of conversion, you have a big problem. 4) Click-Through Rate. Title Tags and Meta Descriptions remain a crucial part of the SEO strategy because of their influences on click-through rate. The Title Tag still plays a major role in introducing search engines and users to your page—and is arguably still the most important on-page factor. Studies have shown that the users spend more time reading descriptions which will lead to more click-throughs. After all, what good is your ranking if the user doesn’t click-through to your site? 5) Conversion Rate. When your target user hits the point of conversion, whether it’s an online form or contact page, you’ve won half the battle. However, if they don’t proceed to fill out the form and hit submit, you’ve obviously lost the customer—thus, the conversion. Your SEO campaign is only as good as the number of users that become new customers. 6) Overall Perception. A great aspect of SEO is managing reputation and overall perception of your website and brand. Some of the latest tweaks to the search engine algorithm have focused on social signals and rich snippets, such as customer reviews. Due to this, your SEO needs to keep a close eye on your online reputation, because a poor reputation can be detrimental to a website’s overall performance. 7) Steady Growth. If your website isn’t growing with your brand, how do you expect to increase your rankings, traffic and conversions? 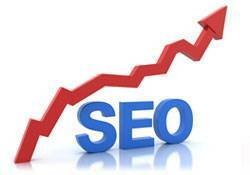 Your SEO should closely monitor your analytics and ensure your qualified traffic is increasing. If necessary adjustments aren’t made to correct poor performance, you will likely miss out on potential sales. Bottom line: having an SEO on your team is your website’s greatest asset, because his job is to make sure your website is performing at its highest level. Monthly reports and constant monitoring is crucial to any SEO campaign—to ensure constant growth in order to achieve all the goals you’ve set for your website. So, don’t base the success your SEO campaign solely on rankings. There are many important aspects of SEO that aren’t always as glamorous on the surface as rankings – although there really is nothing more glamorous than increasing conversions and sales in my personal opinion. If a website’s bounce or abandonment rates are trending upwards, those rankings don’t mean all that much. Increasing your bottom line by building a website that will work for you, your target audience and your product is really what SEO is all about. Or at least, it should be. The Truth About SEOVisually Answering the Question: What is SEO?Has SEO Finally Hit the Mainstream?